Has your mom or dad begun to experience difficulty with things like walking, driving, or remembering to take medication? Have you noticed that their home isn’t as clean as it used to be or that they have expired food in the pantry? 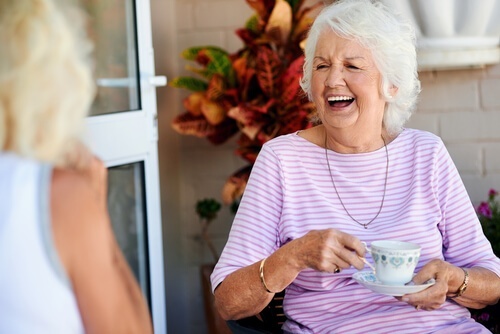 These are some of the signs that your senior loved one needs additional help to stay healthy and safe, but that doesn’t mean they have to give up their independence. Home care gives your mom or dad the help they need to stay at home while also providing the quality of life they deserve. Is Home Care Right For Your Loved One? Home care is a good choice for people who are experiencing difficulty with daily activities related to aging, surgery, chronic illness, disability, or forgetfulness. Professional caregivers not only provide customized care for your loved one, but also give you and your family peace of mind about your loved one’s quality of life, health, and safety. Fall Prevention—Falls are the number one cause of injury for seniors according to the National Council on Aging. Caregivers can help prevent falls by providing assistance with walking, standing, sitting, and transferring from one position to another. They can also watch for and remove trip hazards in the environment to reduce the risk of a fall. Health Observation—Caregivers can help you monitor your loved one’s health and inform you about any changes they observe. They can also help make sure your mom or dad gets nutritious meals each day and that they take the right medicine at the right time. Memory Care—If your family member has begun to experience the effects of Alzheimer’s or dementia, a home caregiver can help reduce the risks associated with memory challenges such as wandering or medication mismanagement. They can also eliminate risks associated with household tasks like cooking or cleaning. Companionship—Loneliness is a serious concern for older adults. It can put them at risk of increased health problems such as memory loss, strokes, and even heart disease. Home caregivers give your loved one the companionship they need to continue living a happy, fulfilled life. Is home care the best choice for my mom or dad? Home care is an excellent option for many kinds of age-related care needs. You can customize your care plan to make sure your loved one receives the attention and assistance needed for the best quality of life. Will the caregiver treat my loved one well? This is an important question to ask any home care agency you may consider. The agency should have an established process in place to evaluate caregivers and ensure that they treat each client with respect and dignity. They should also be willing to talk to you about how they match caregivers with clients to ensure a good fit. What is the process for hiring and vetting caregivers? The agency should also be transparent about how they select and hire caregivers. That process should include established screening procedures and standards for every caregiver. Make sure the agency does multiple interviews before hiring a caregiver. What if I have a concern about my loved one’s care? Always express concerns immediately so that steps can be taken to resolve them. Caregivers should involve family members in the care plan as much as possible so that you always feel comfortable with the care your mom or dad receives. They are many resources available to help you pay for health care. Your family member may qualify for Medicaid assistance or veterans benefits. You also have several self-pay options such as long-term care insurance, a reverse mortgage, or an annuity loan. In Ohio, seniors qualify for discounts at most places of business, and that’s an excellent way to minimize costs as you allocate resources. 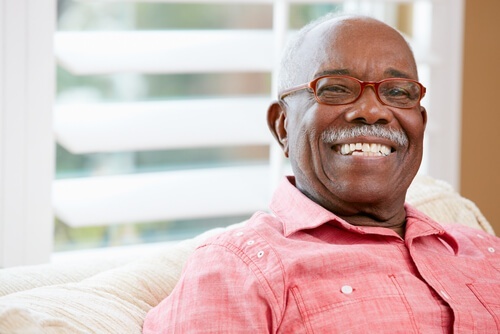 Are you ready for more information about how home care can help your senior loved one? Download our FREE Guide to Home Care to learn how we can help you take the next step toward providing the best care.